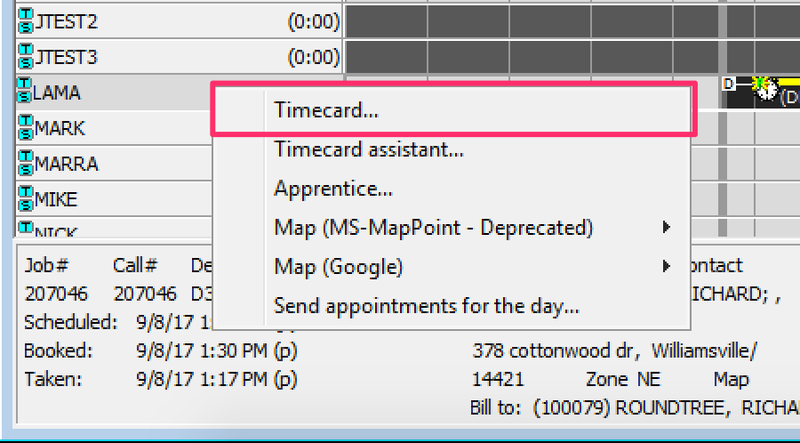 Performing either one of these should restore control of the timecard to Mobile Technician. Log out and log back in. This will end the previous day's session that was still active. If it will not allow you to log out, go into settings, and Force Logout. 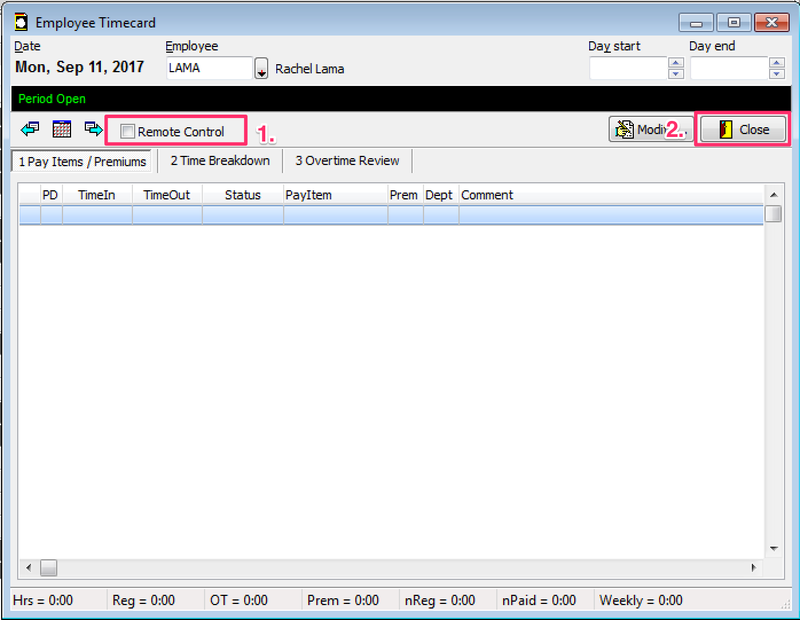 In order for the device to modify the timecard from the field, exclusive control by the device is required. This is accomplished by the device locking the technician's timecard when they log in. This error means that someone in SuccessWare21 has unlocked the timecard and is making updates to it or forgot to give Remote Control back after doing some sort of update. This error can also occur when the technician does not log out at the end of the night and they never lose connectivity. The session is still active from the night before and it never rolls over to the next day. 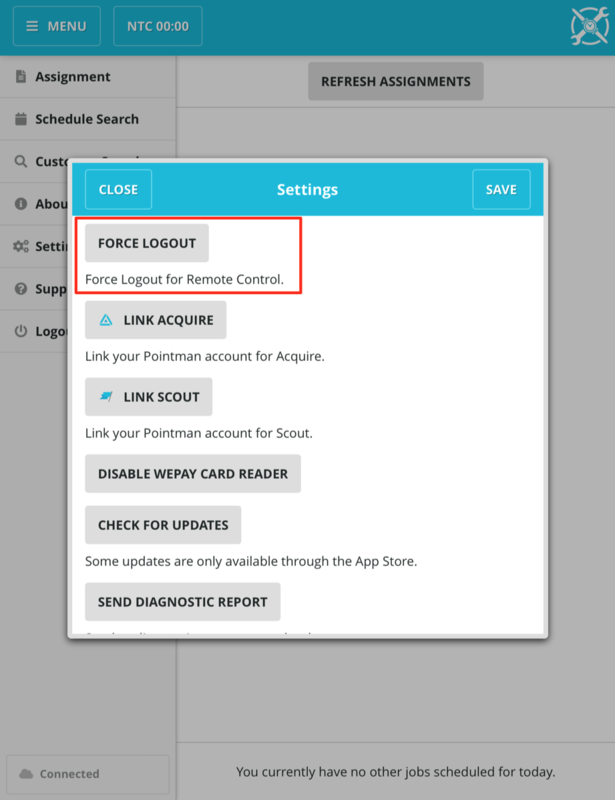 First press the Logout button in the Menu, and then Quit by swiping SWRemote away. To Learn more about how Remote Control works, please click HERE.